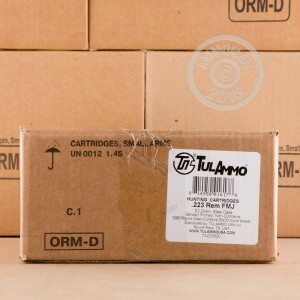 This Tula ammunition is manufactured in Russia, using steel casings and Berdan primers. These non-reloadable components are cheaper than brass casings, while still functioning just as well. 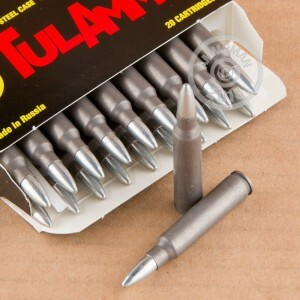 Each round is also loaded with a 62 grain full metal jacket bullet. 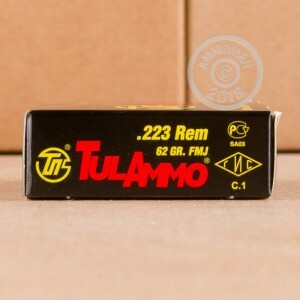 This bullet is ideal for range training and will have similar ballistics to that of the US military's M855 round. This bullet is also bi-metal and may not be suitable for all indoor ranges. Note: This ammo may come loaded with a zinc coated bullet. Zinc is a soft metal than copper, and should cause less barrel wear than copper bullets. My M&P sport II ate this up with no issues. I shot around 200 rounds of this and my AR asked for more. Outstanding service and product, will buy again!